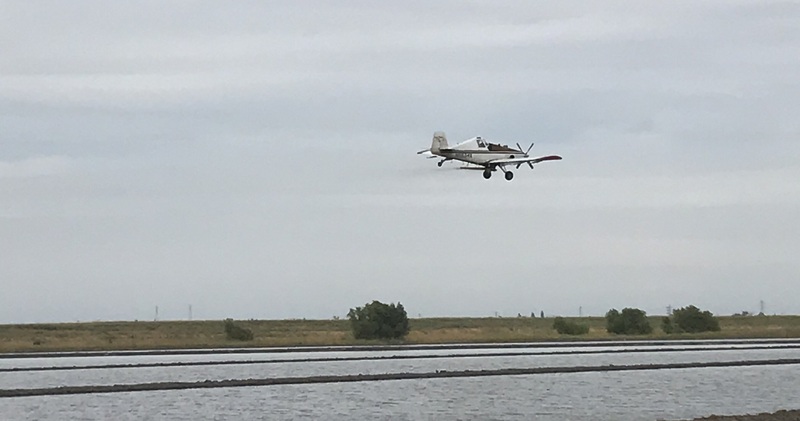 Planting rice in Knights Landing, CA in May of 2017. Rice in California is typically areal seeded. 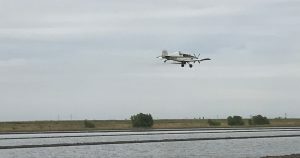 The rice is soaked for 24-72 hours before being drained and loaded into the airplane. This helps the rice get a jump start into the growing season!